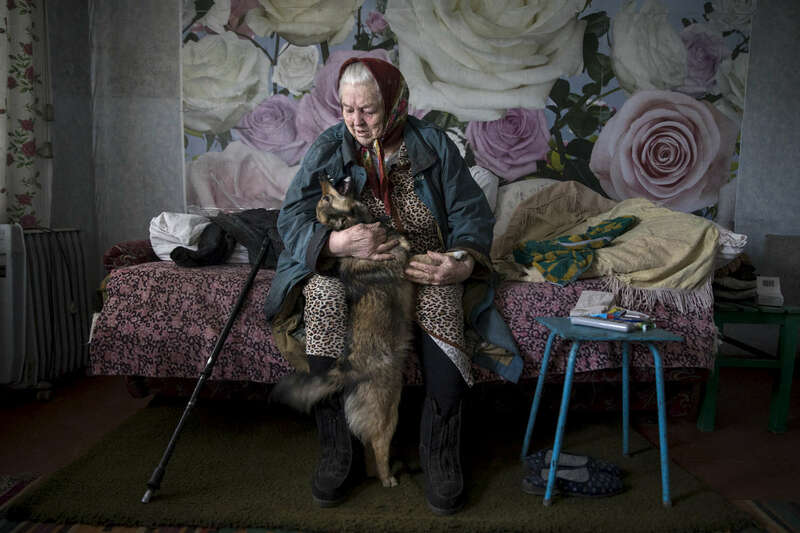 Varvara Arkhipovna, age 81 lives alone on a small pension in Katerinovka, Lugansk region which has a population of less than 300 people as the village is exposed to the sniper fire as the contact line lays just over the hill a few kilometers away. Varvara lives with a puppy that was recently given to her by a health worker in order to improve her mental health as she suffers from depression and high blood pressure. Her family lives in Pervomaisk, a village in Lugansk region on the other side of the front line. She hasn’t been able to see her 3 grandchildren in 4 years – since the beginning of the war even though they live only 3 kilometers away.